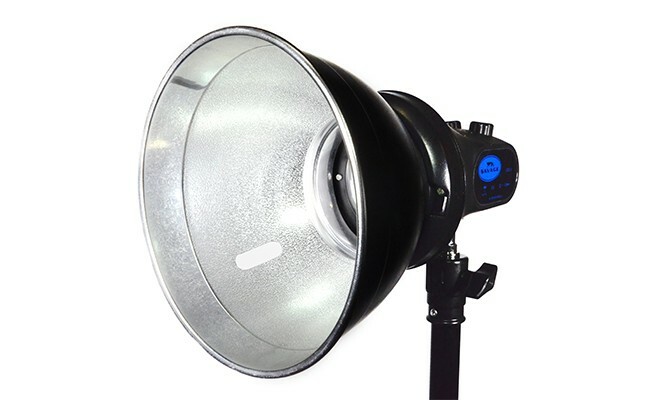 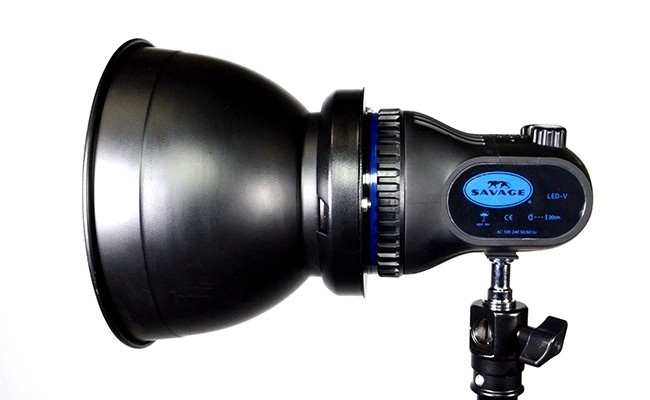 The Savage LED Video Light Plus features a Fresnel lens with an output of 3500 lumens at 1m when used with included 7" reflector, or 2200 lumens at 1m without. 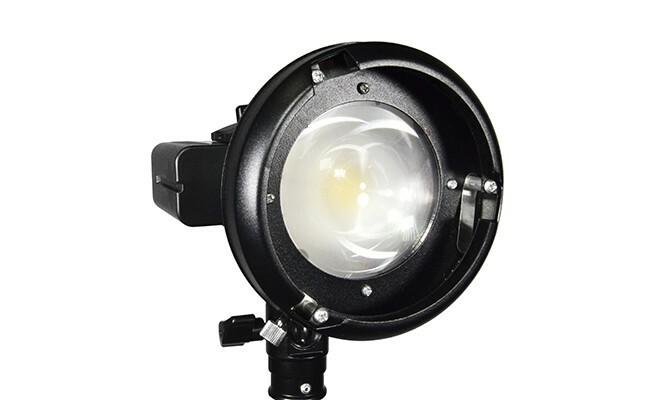 This LED light is lightweight, long-lasting and energy-saving, using only 40 watts of electricity at full power. 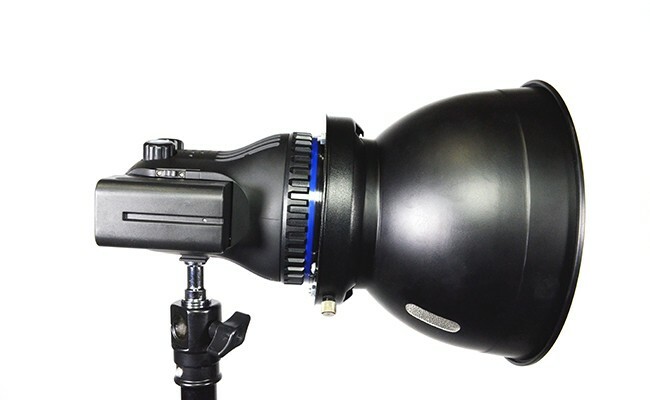 The cooling fan is whisper-quiet allowing it to be ideal for video applications as well as photography. 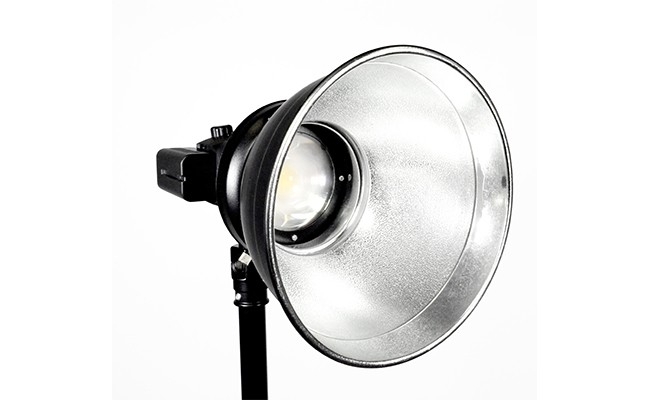 Use with AC power for extended periods of time, or use included battery for up to 50 minutes when on location. 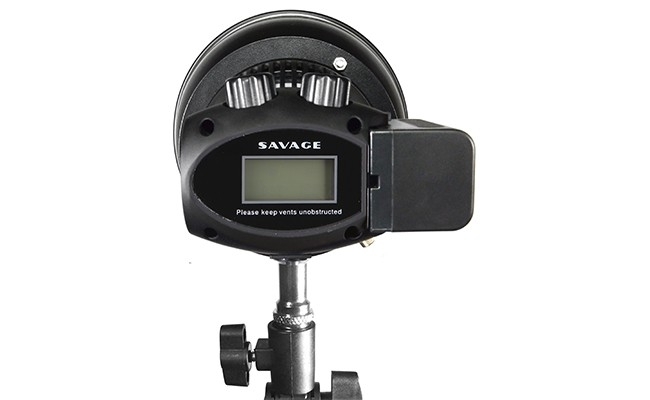 A convenient remote control allows users to easily and quickly adjust power settings from anywhere around their set. 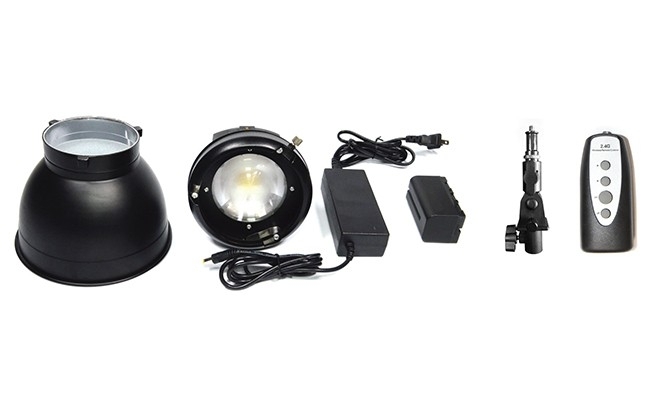 Runs on AC power with included AC adapter with 10'' cord.